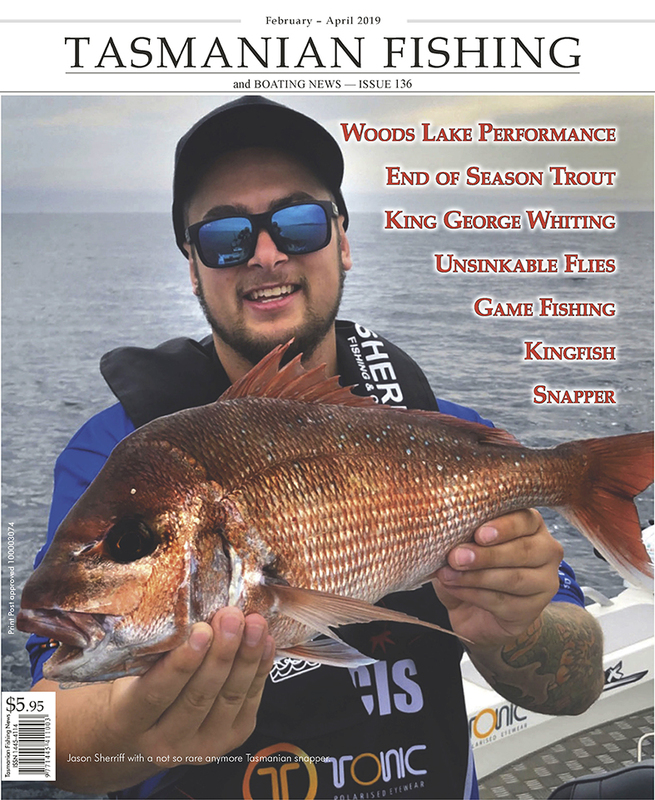 The August-September edition of Tasmanian Fishing and Boating News is now on sale at all good newsagents and tackle stores. 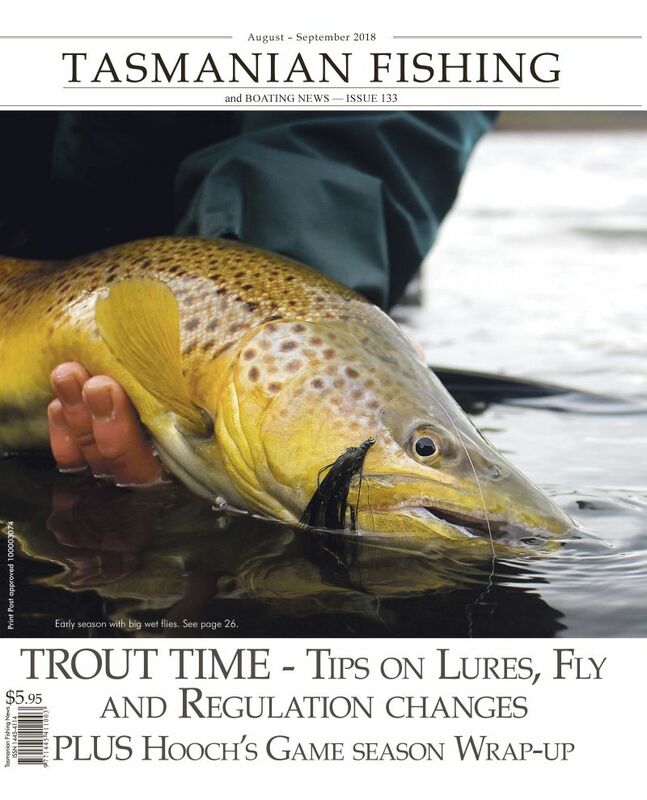 In this issue you will find heaps on lure and fly fishing – what, where and how. There is also a terrific story about the history, building and subsequent rebuilding of the Sandy Lake hut by the Mountain Huts Preservation Society. 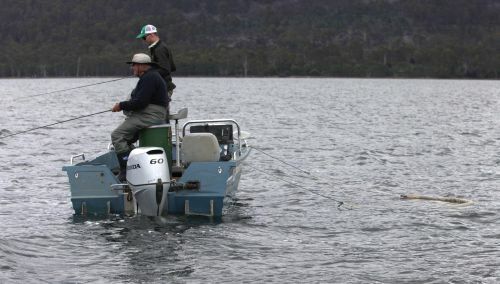 It was built as a joint project between the Northern Tasmanian Tourism and Northern Tasmanian Fisheries associations. It fell into disrepair and was later burnt down and then the area flooded. The MHPS through a lot of effort rebuilt it nearby and reopened it 7th April 2018. I and hundreds of others attended the reopening. What a great day and well done to MHPS. Greg French has just been published again. His new book is Water Colour and I have just read a few snippets from it. Greg is a beautiful story teller - making the mundane interesting and the interesting rivetting. His telling of events and trips and expeditions and general goings on are terrific and I for one don’t think there is another story teller like him in fishing that has been published. Some people want ‘how to’ or guide books and articles, but I love well told anecdotes. Buy Water Colour and enjoy it. Greg has inspired me to keep a diary again. I have done it spasmodically over the years, and many of my memories are just snippets of a day, rather than a bigger recollection. A diary doesn’t lie - unless you write it to deceive, but that would be pointless. Look back later and revel in your fishing days, where you fished, what happened and with whom. All angling methods now allowed at Huntsman Lake. There are quite a few other changes as well so please ensure you understand them. Ignorance is no excuse for breaking the law.